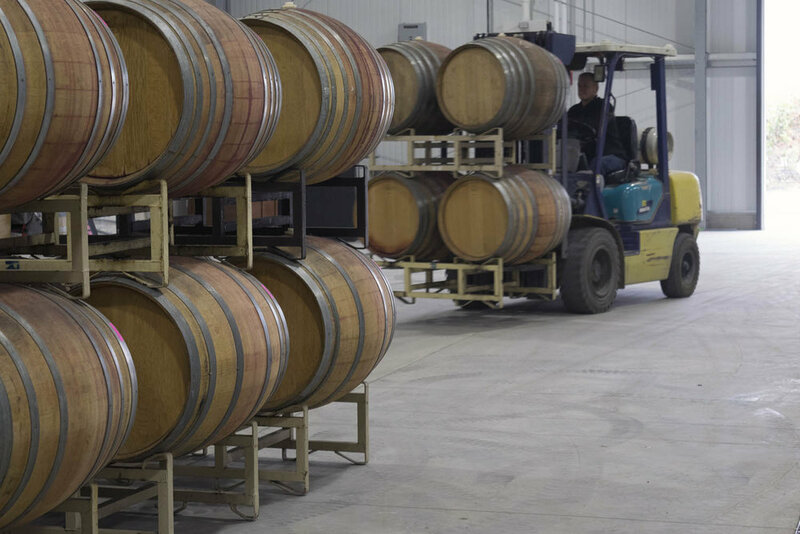 We are happy to report that we have received temporary occupancy from Sonoma County to permanently occupy our winemaking areas of our new winery. While construction resumes on the remaining areas of our winery, this will allow us to move our entire winemaking operation to our new home, including our young 2017 vintage. 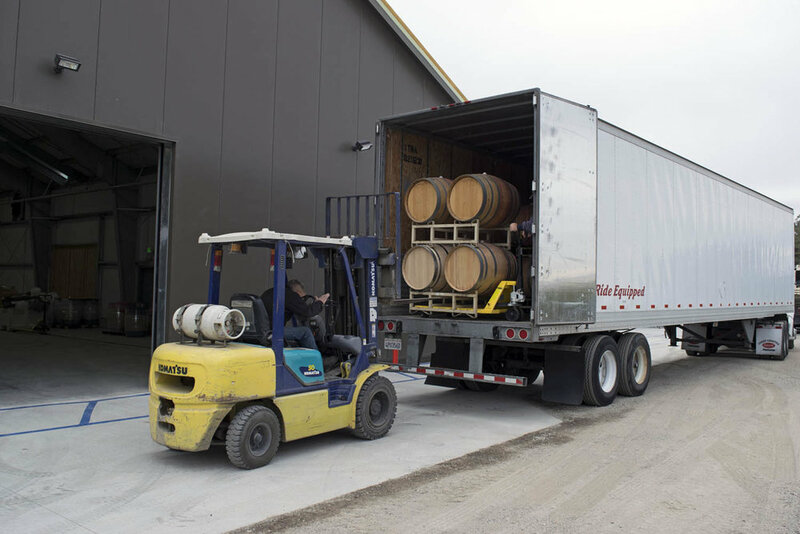 Today, the first of many deliveries of our over 500 (full) barrels arrived and our winemaker Michael Carr, and assistant winemaker Steve Bowen, quickly got to work organizing the barrel room and fermentation room for the incoming vintage. They must work fast, because in just four days they will be bottling the 2016 Merlot and 2017 Dry Rose at the new winery! While they are busy settling in to their new home, construction has not slowed in the completion of the winery. The tasting room, administrative area, and outdoor “tasting plaza” continue to be built out with completion expected in mid-to-late spring of 2018.